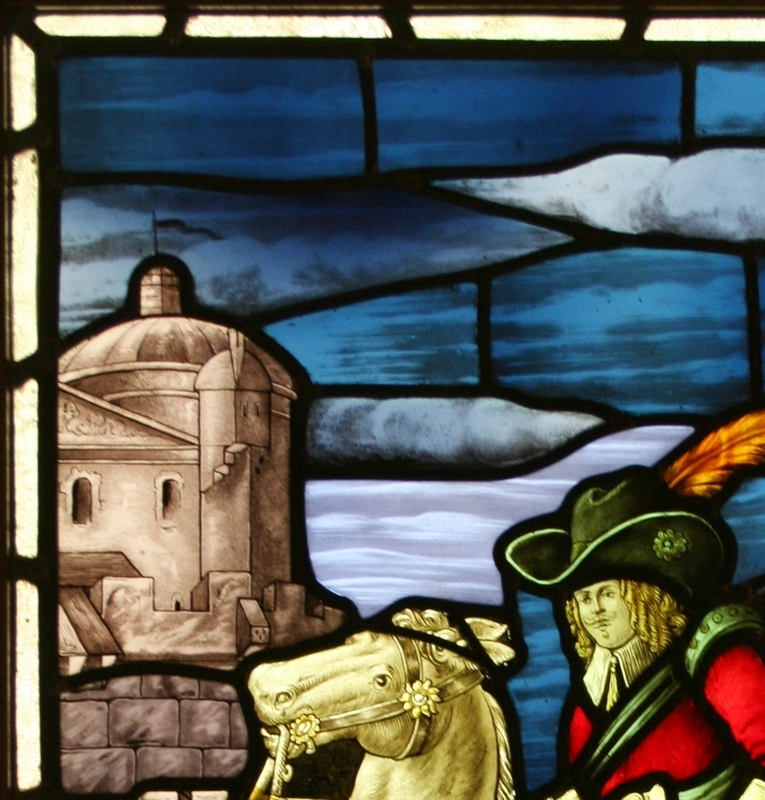 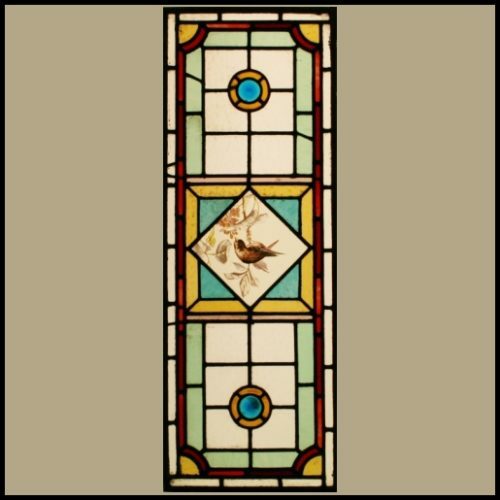 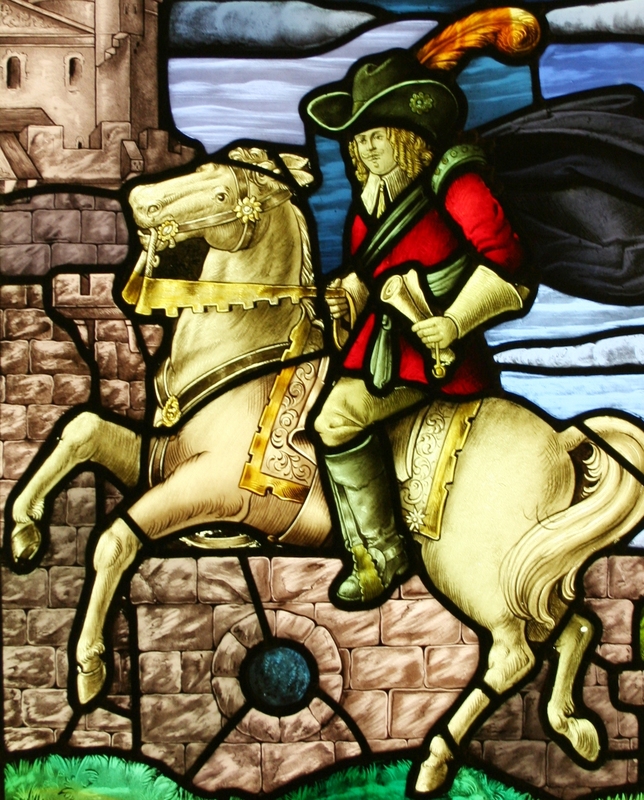 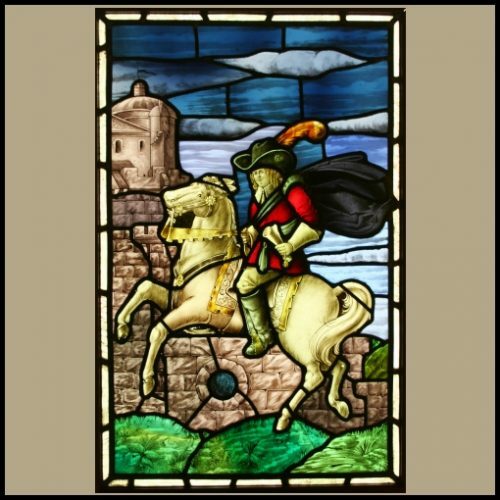 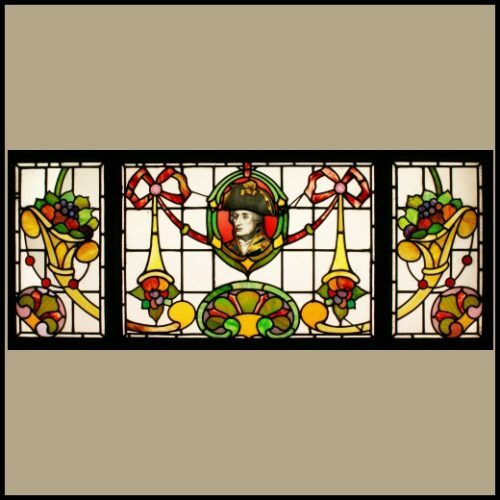 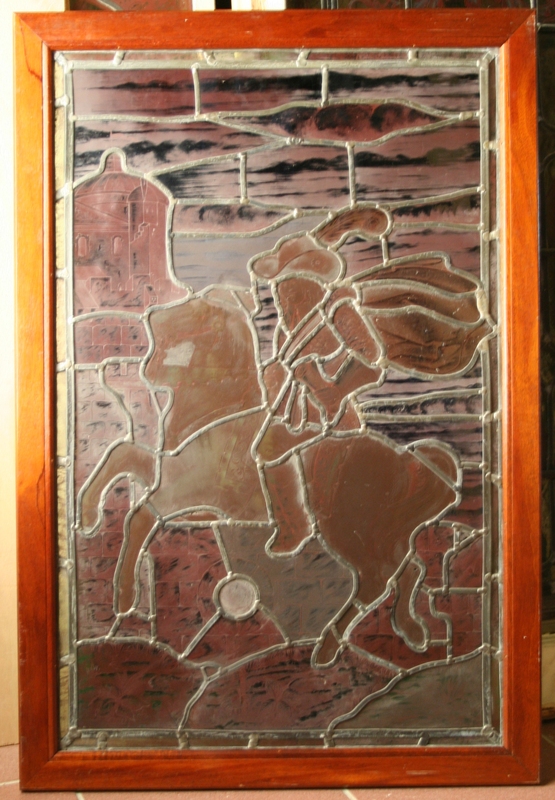 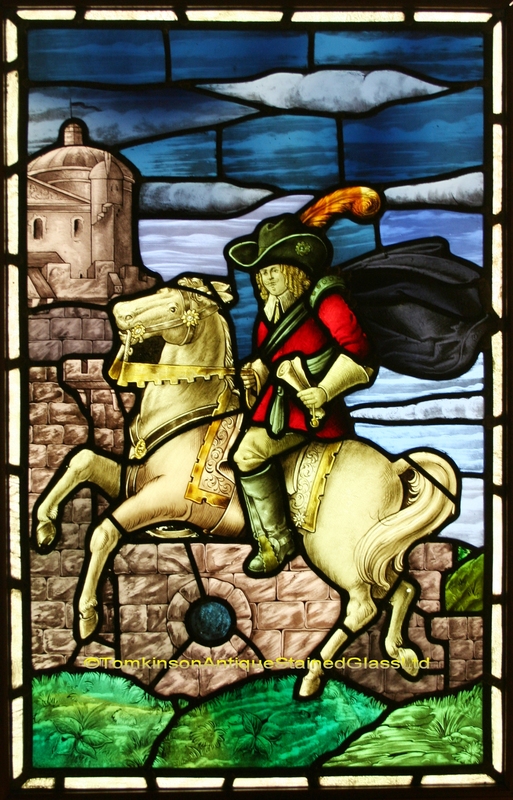 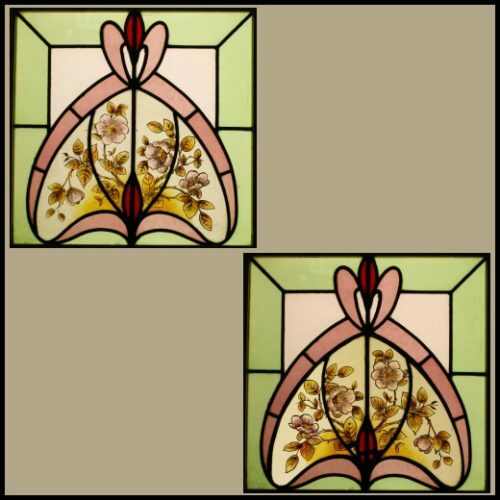 Antique Edwardian stained glass window, hand painted in coloured glass depicting a Cavalier on horseback and castle in the background. 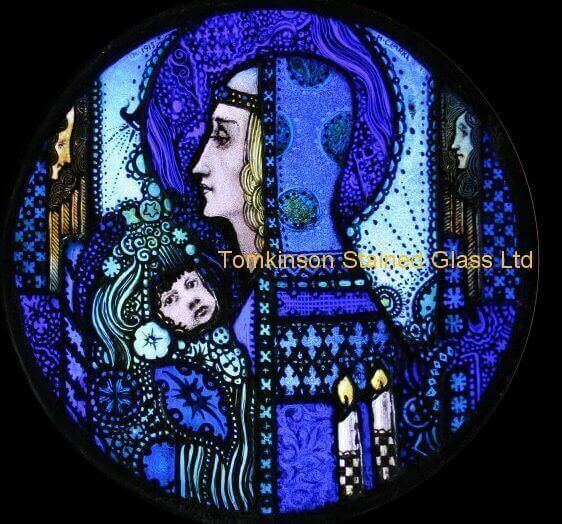 Lead and glass in excellent condition. 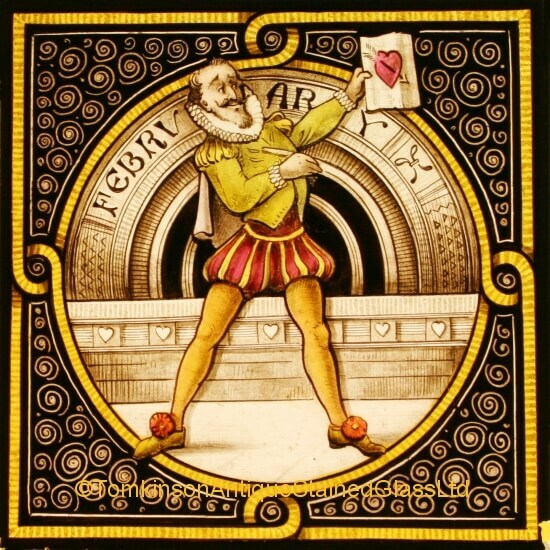 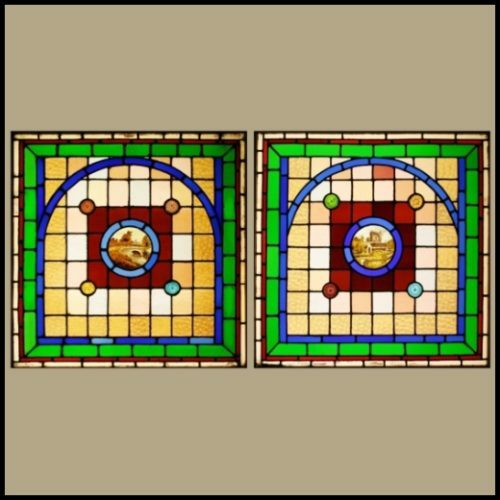 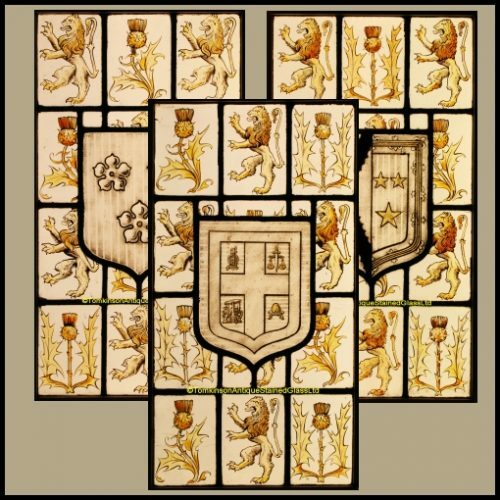 In a hardwood frame.